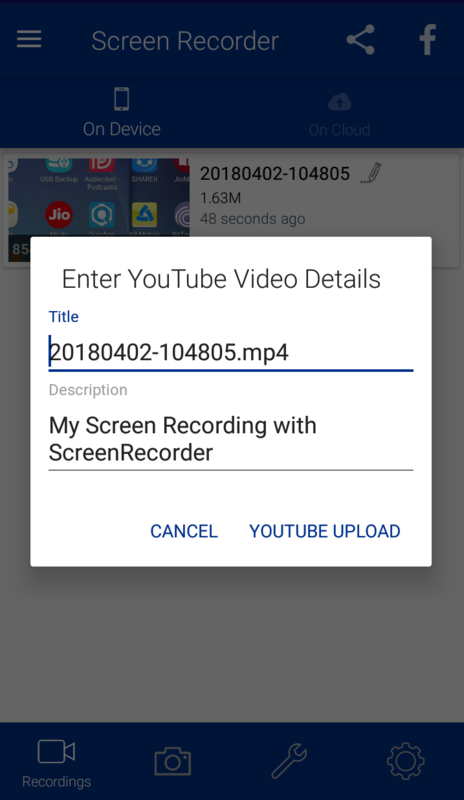 You can link your YouTube account with Screen Recorder anytime you want from within the app. 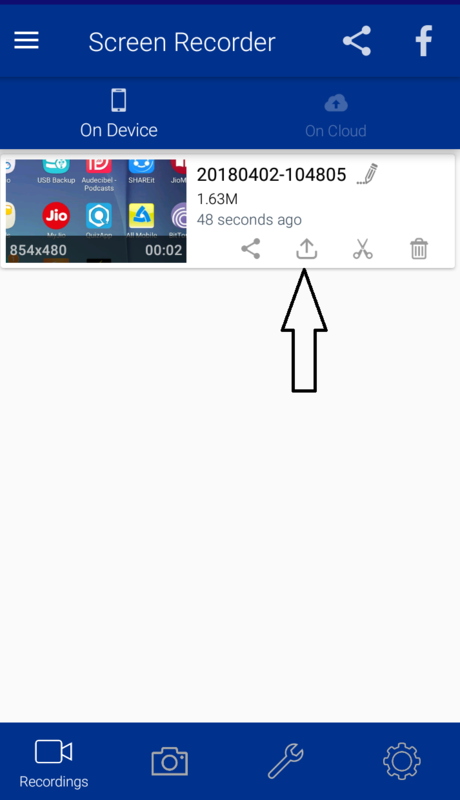 Once done, posting a recorded video from this app on YouTube is just one click away. 1. Open Screen RecorderÂ app and go to "setting" option. 2. Click on "select account" option at the end of setting. 3. If you have an account click on it or add a new account. 4. Go to recording, click on the upload icon to upload saved videos.